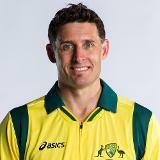 Michael Hussey won the ICC Cricket World Cup 2007 and ICC Champions Trophy 2006 and 2009 with Australia. Between 2004 and 2013, he represented his country in 79 Tests in which he scored 6235 runs, 185 ODIs in which he scored 5442 runs and 38 T20Is in which he scored 721 runs. Both Pakistan and India have stormed into the ICC Champions Trophy 2017 final with dominant performances in their semi-finals against the host, England, and Bangladesh, respectively. Pakistan has surprised everyone in the ICC Champions Trophy 2017 after being ranked eighth coming into the tournament, and was well and truly beaten in its first match against India. Since that match, every game has virtually been a knock-out game for it. It has played as though it has nothing to lose, with a freedom to express its skills, which is commendable considering the situation it found itself in. There is a feeling of destiny with Pakistan. During its last pool match against Sri Lanka, another must-win game, Pakistan looked dead and buried in its run-chase, but Sri Lanka could not land the knock-out blow with catches going down. As the pressure rose, the skipper, Sarfraz Ahmed, played an inspirational innings to put his team through to the semi-final stage. It carried that momentum to the England match, where everything clicked and now it has another opportunity to face arch-rival India in the final. Pakistan doesn’t have an impressive record against India in ICC events. That said, the ICC Champions Trophy is the only event where it has defeated India, not once but twice – in 2004 at Edgbaston and in 2009 at Centurion. Although the two sides are locked at two-all on a head to head in the ICC Champions Trophy, I am sure Pakistan will get additional inspiration and motivation from its past successes in this event and will aim to extend its run come Sunday. India has oozed class throughout the tournament with each player looking in great touch and clear with the role he plays in the team. The cricketing world was shocked when Sri Lanka chased down India’s big total to win at The Oval, but other than that hiccup, India has looked, with England, the strongest team in the competition. The top order of Shikhar Dhawan, Rohit Sharma and Virat Kohli have been remarkable, looking in total control out in the middle. They are intimidating opposition bowlers with their class and breathtaking stroke-play. One concern for India is that there hasn’t been much work for the likes of Yuvraj Singh, MS Dhoni, Kedar Jadhav, Hardik Pandya and Ravindra Jadeja to do with the bat and Pakistan could exploit this, if it gets early wickets in the final. It’s a big IF!!! India also has great variety and balance in its attack with spinners turning the ball in opposite directions, pace and skill. It is amazing to think that someone of the class of Umesh Yadav can’t make the starting eleven. 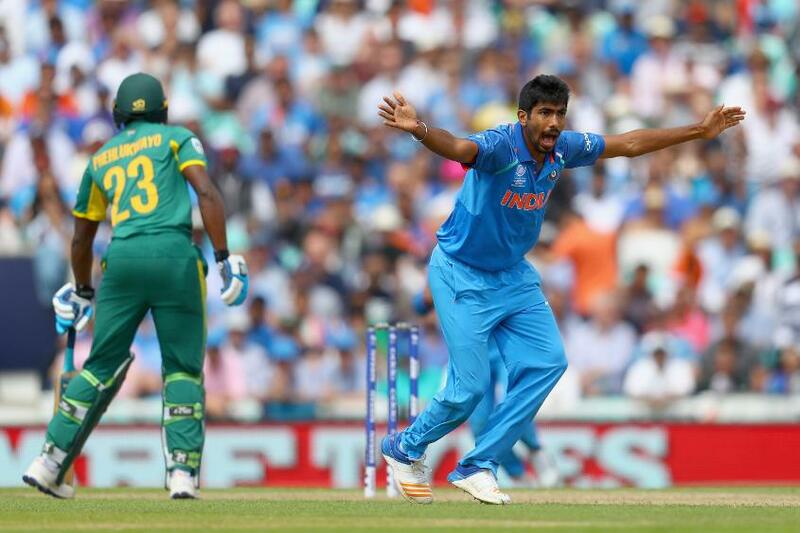 Jasprit Bumrah is a very important part of the attack. He is one of the best death bowlers in the world, executing his slower balls and yorkers at will under pressure. From a batsman’s point of view, it is difficult to pick the ball up early out of his hand due to his unusual action and excellent deception when bowling his different deliveries. It was interesting listening to Virat Kohli in a press conference recently talking about his team maintaining its composure and controlling its emotions in big games. What that tells me is that he has enormous confidence in his side and if India plays any team on skill alone, keeping control of its emotions, then he would back his side to beat anyone in the world. One of the keys to winning big games is each player being able to disregard all the outside distractions and focus on his role in the team. There will be many distractions when India lines up against Pakistan in the final, with a manic crowd likely to be out of control in the lead up and on match day as the hype for this match will be huge. India is in a great place and must be favoured to retain the ICC Champions Trophy but no-one should discount Pakistan. It is a mercurial team and this tournament has thrown up so many upsets so far. Could there be one more? © ICC Business Corporation FZ LLC 2017. All rights reserved.